ARLINGTON, Va. - American Poet Ralph Waldo Emerson once said, "The only person you are destined to become is the person you decide to be." Luckily for Chaplain (Lt. Col.) Robert Miller, his decision to become a chaplain began with the guiding light in in his family. "My father was a career Air Force (non-commissioned officer). He was my hero and the best NCO I have ever known. He instilled my love for country and my deep values of right and wrong," Miller said. As the Army Chaplain Corps celebrates its 243rd anniversary on July 29, Miller is reminded of his incredible journey to his pre-destined career. "My journey to becoming an Army chaplain began in my senior year at Seminary. I saw an Airborne Chaplain in a Class 'A' uniform, walking on campus. I chased him down and asked him all kinds of questions about being a chaplain," Miller recalled. "I was so impressed with him and the opportunity he described that I prayed about extending my calling to the military. I had always felt that God had called me to serve, and this appeared to be an answer to that prayer." In 1998, Miller, now 17 years into his ministry, applied for the third time to the Army before his prayer was answered. 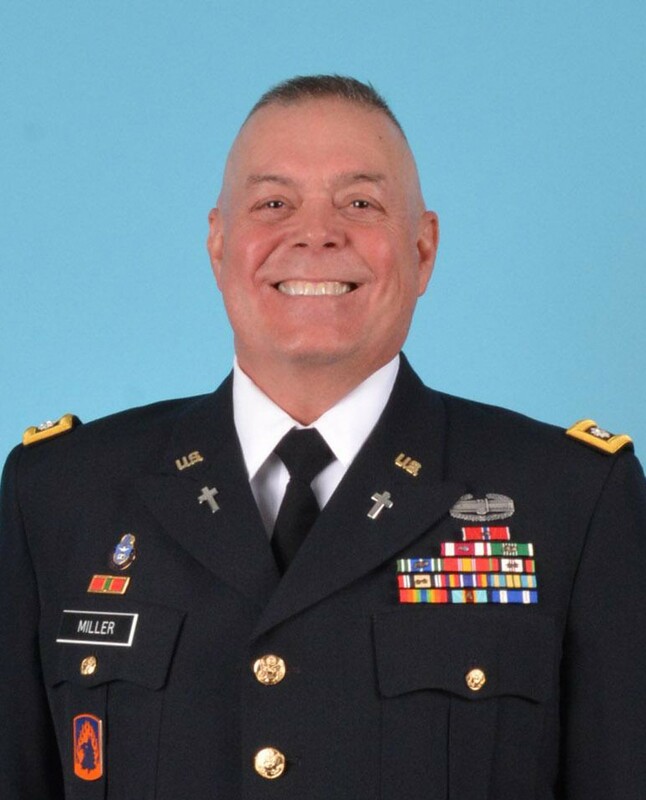 Miller was commissioned as a First Lieutenant in September of 1998 in the Army Reserve, but with one caveat; he had to complete the Chaplain Officer Basic Program prior to his 40th birthday in August of 1999 or resign his commission and leave the Army. In January 1999, Miller was accepted into the Army Chaplain School for the four-month program. He briefed his good news to his deacon board and discussed the opportunity of extending the church's outreach with him serving only an hour away - one weekend a month. While Miller saw it as a great opportunity, the deacon board disagreed. "After an hour of discussion, we agreed that God had indeed called me to military service and I needed to resign my position as pastor. I started Chaplain School the day after I resigned," Miller said. And the rest as they say is history. After serving a church in South Carolina, he began his active duty career on September 12, 1999, at Ft Riley, Kansas. "I have never regretted the decision to become an Army chaplain. I have always cherished the calling and rejoice at the opportunity for ministry," Miller said. Miller uses his opportunities to speak and encourage the masses whether on the frontline or in a pew. "I believe that chaplains are the quiet vanguard of care and compassion. Chaplains seek to take nothing away from the Soldier, but always offer to meet the deepest need, emotionally or spiritually," Miller explained. "Our requirement of complete confidentiality and privileged communication is sacrosanct; we cannot break it! That allows us to meet any Soldier (civilian or family member of either) and provide them a listening ear with full confidence that what is shared is only shared between them, me and God; period! Everyone needs that one somebody they can confide in without disclosure, judgement or recompense." The day-to-day work of a chaplain can be difficult as they deal with challenging forces including physical, emotional, and spiritual setbacks. When asked about how he deals with his own struggles, his response his simple. "Prayer, devotion, love, laughter, and tears. One man said it best when he stated that, 'some days are diamonds, and some days are stones.' Some days, some moments, some engagements are great, others not so much." Miller said. "I see that I am no different than the heroes of faith I read about in my scriptures. They too suffered disappointment, shame, and despair, yet they trusted in God's calling. I have always found that my faith sustains me and there is always an opportunity to reach up and out of my depths in order to reach out to others in need." 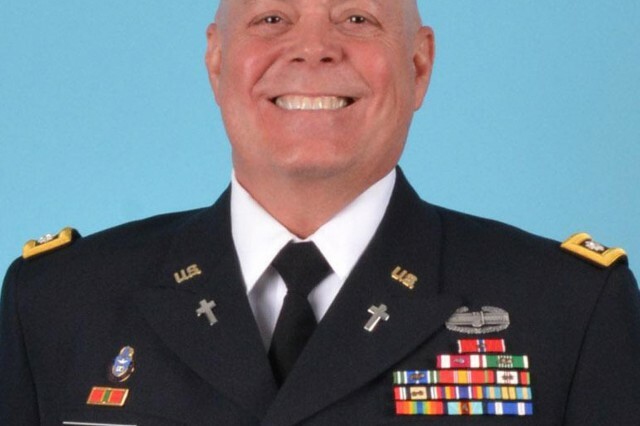 In June 2018, the South Carolina native was assigned to the Office of the Chief of Chaplains in the Pentagon, as the Chief of Distribution - Account Manager for Chaplain Personnel. With a plethora of awards, including include the Bronze Star Medal (one oak leaf cluster); the Meritorious Service Medal (Silver oak leaf cluster); and the Army Commendation Medal (two oak leaf clusters); Miller says it's his purpose that he cherishes the most. "My responsibility, as a chaplain, is not only to look for what I want to seek or what I think is best in people or events. Rather, I am called to see that everyone deserves the chance to make their next decision better. God always helps me with my needs by presenting me with people in need. Deep calls to deep."